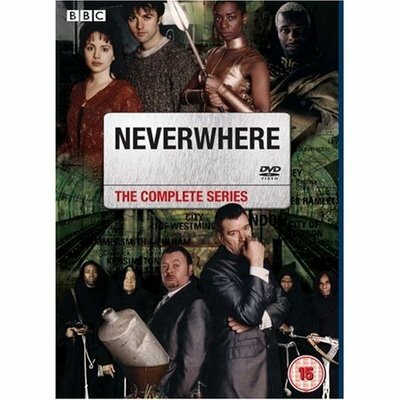 For years people have been writing from the UK to ask when a Region 2 version of Neverwhere would be out, and I've pointed out that actually the US one is Region Zero, so they can just buy that. ...but given that it's coming out in seven weeks, I think all those things are now pipe dreams. (Not even sure if it'll be my commentary track from the US DVD on there, or nothing at all). Still, it will be out in the UK, legitimately. Here's the cover that's up on Amazon -- I don't know if it's a real cover or a placeholder.